What: thru-hike of the Cape-to-Cape Track (C2C). 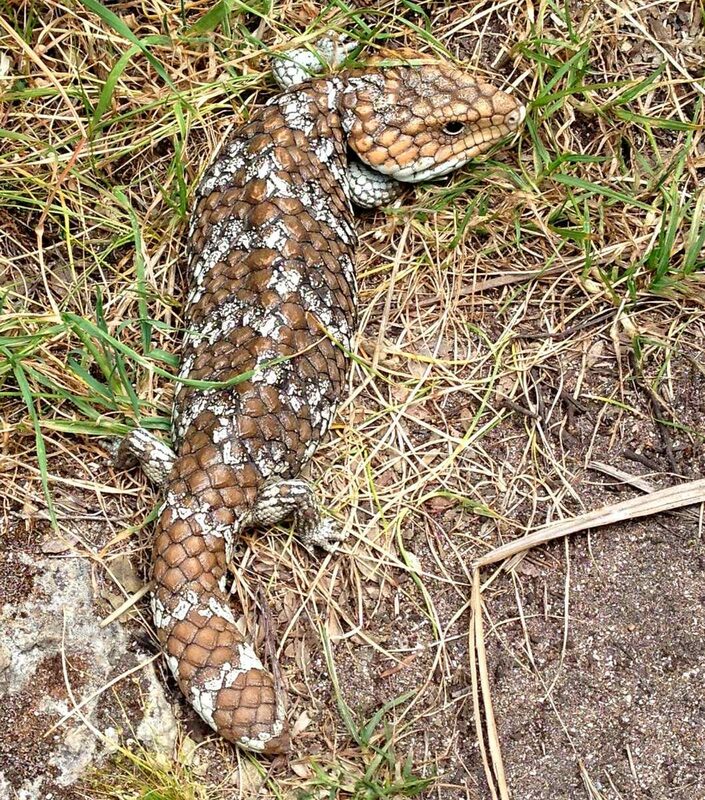 Where: the southwest corner of Australia. When: October 13 to 18, 2015 (6 days). Distance: Bibb: 602 miles. C2C: 98 miles. Highlights: great birds and easy walking. 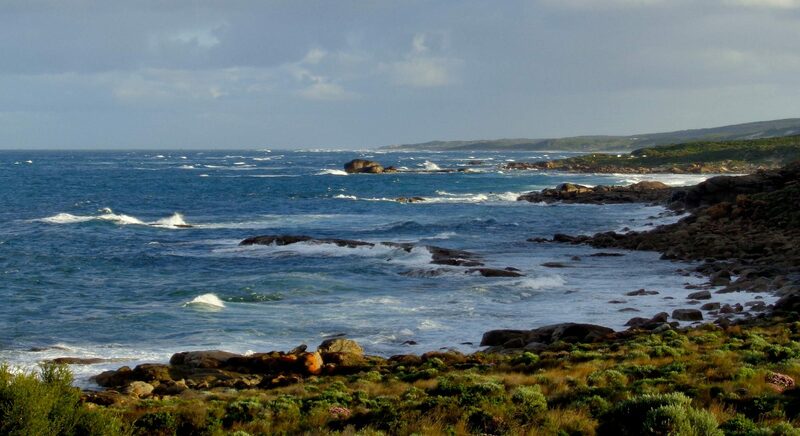 The Friends of the Cape to Cape Track website provides all necessary information for hiking the Cape to Cape, including strip maps. As for all our trips, we used our two favorite mapping tools: CalTopo.com to prepare gpx data and printed maps, and Gaia GPS while hiking. The primary purpose of our trip to southwest Australia was to hike the Bibbulmum Track. 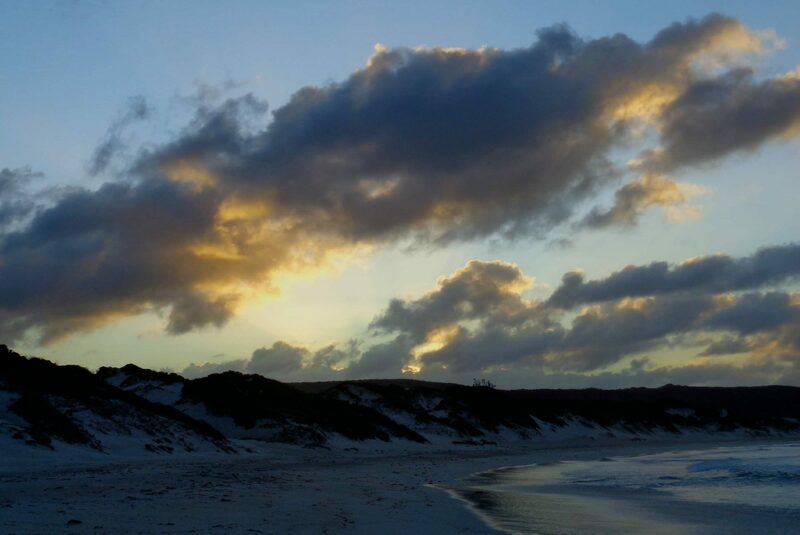 Adding the Cape to Cape Track to our itinerary was straight-forward and inexpensive, making it an easy decision to include this hike in our journey. In this sense it was an opportunistic trip. 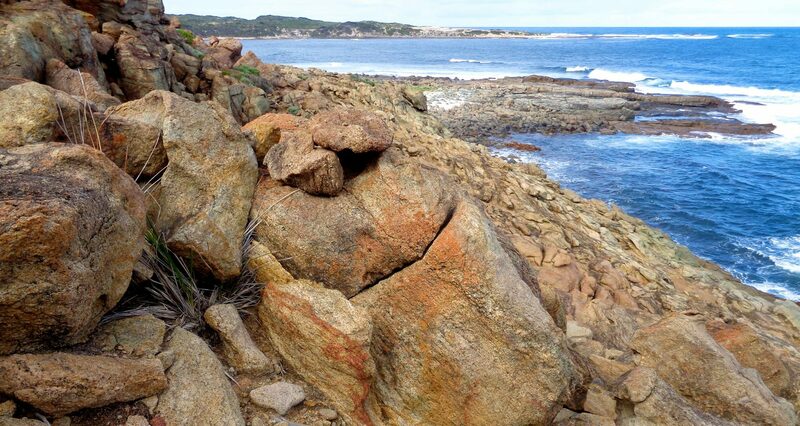 If you have other reasons to be in southwest Australia, by all means take this hike. But if you want a great coastal walk there are better options. 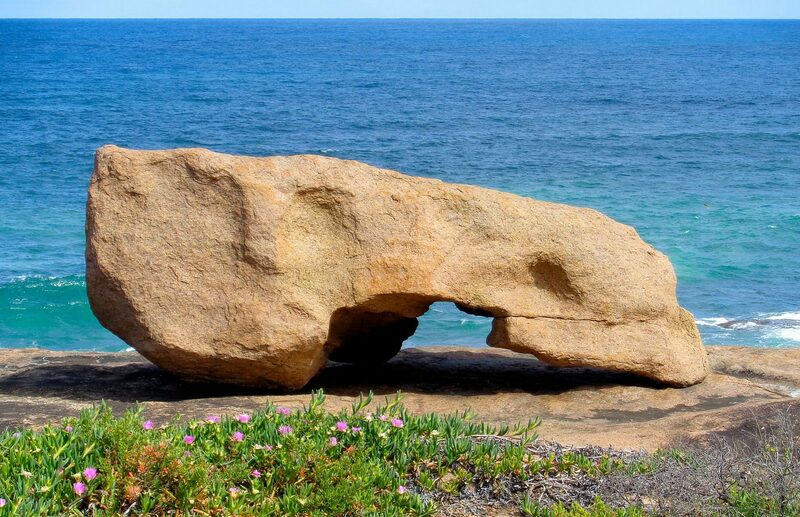 It’s pleasant enough, but there’s nothing of historical or cultural interest, there are vehicles on too many beaches, and the scenery is not as grand as on other coastal hikes we’ve taken. This is a pleasant, but not great walk. 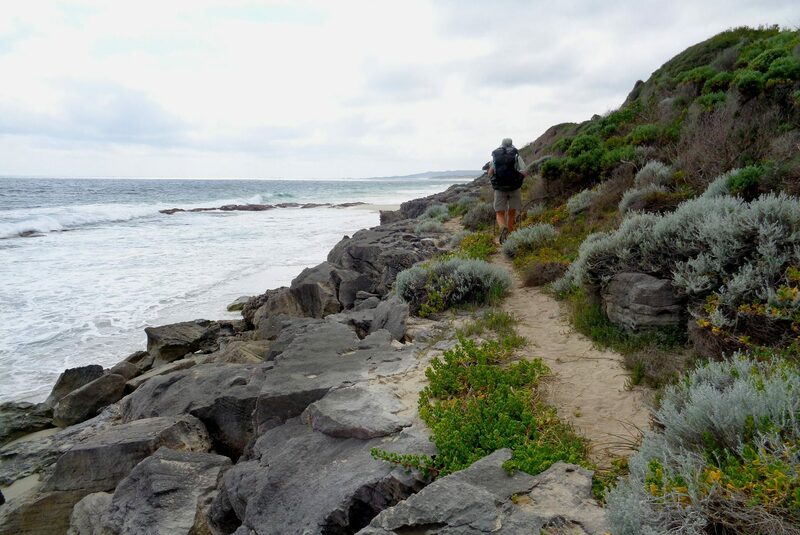 We have taken more rewarding coastal hikes in England, Wales, Scotland, France, Turkey and eastern Australia. The flowers were great, the scenery good, the walking pleasant and easy. The path is way too short to travel any distance to do it. 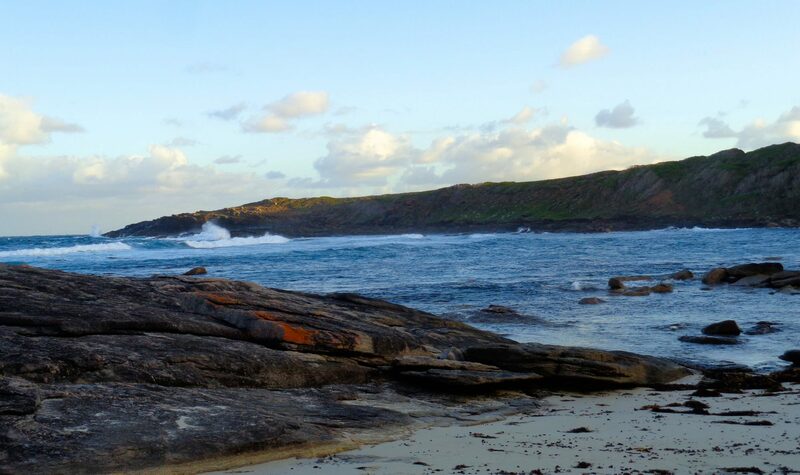 However, if you find yourself in Australia with a spare week, by all means go: you won’t regret the experience. 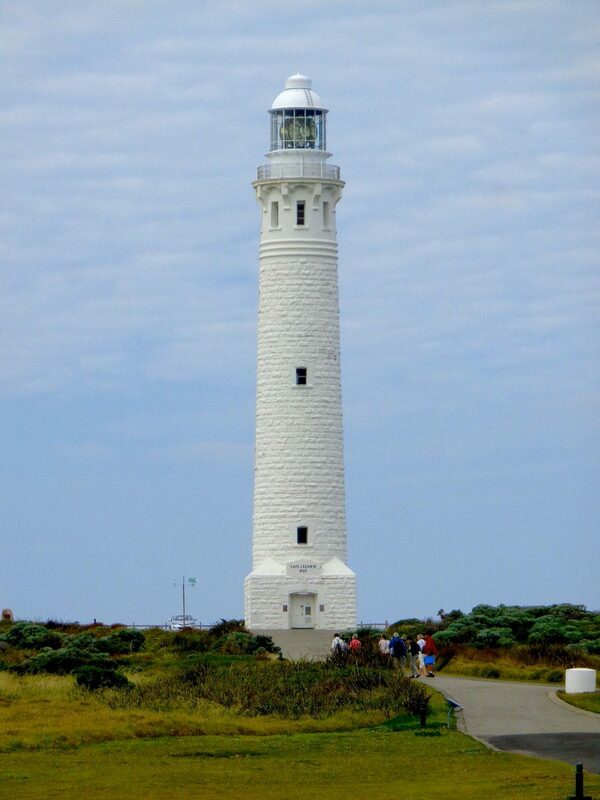 The 135 kilometer long C2C connects the lighthouses on Cape Naturaliste and Cape Leeuwin. The C2C follows the beach or wanders inland to forested areas out of sight and sound of the sea. Unlike the Bibb, there are no shelters. The track is primarily on undeveloped land, but does pass through or close to a few small coastal hamlets. Like the Bibb, the track studiously avoids paved roads. The trail is well maintained and no thrashing is required. 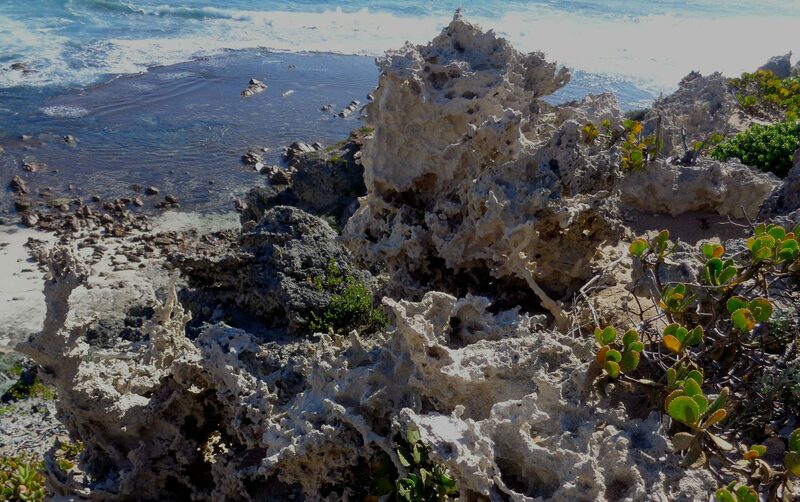 In some of the sections the trail is on loose sand that makes beach walking and hill climbing tedious. Since the C2C is described as a coastal walk, we wondered why it was routed so far inland in some sections. We suspect it was laid out to reduce the amount of soft sand beach walking and to provide a variety of habitat experiences for the hiker. Given that we had already spent weeks in forests on the Bibb, we would have preferred that the track stay on the coast. 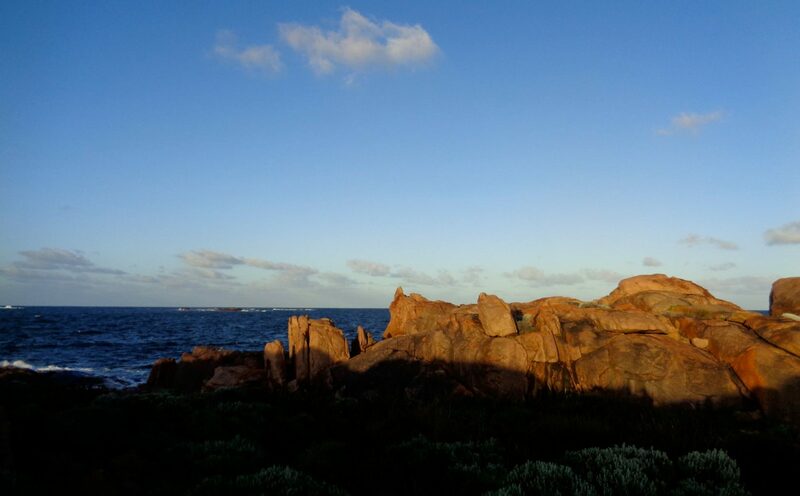 It took us about five and a half days to walk from Augusta to Dunsborough, which was a bit slower than we normally travel. 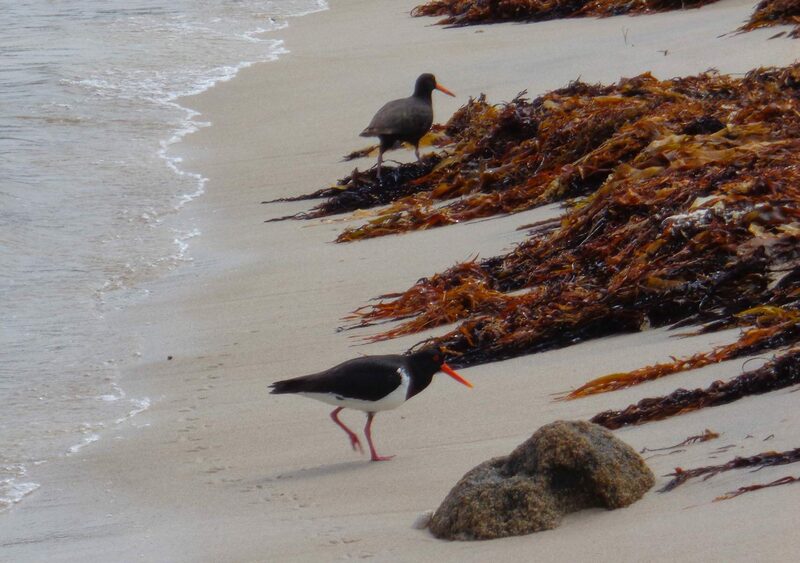 We spent a lot of time watching sea birds and whales, one of the pleasures of this walk. At one point, we were entertained by a pod of Humpback Whales carousing just offshore: spy hopping, tail slapping, fluke waving and jumping almost completely out of the sea. The track is badly marked. The way-markers are placed low to the ground on short posts that often disappeared into encroaching sand and vegetation. The markers themselves are a difficult to read combination of light yellow on white, with the yellow often sun-faded into oblivion. The markers are set parallel to the path, not indicating the direction of travel. At many critical intersections, there are no markers, and there are a huge number of unmarked 4WD tracks intersecting the C2C. However, it would be very difficult to get badly lost since with a map, a little trail savvy and common sense, you can figure out which track is the actual trail. 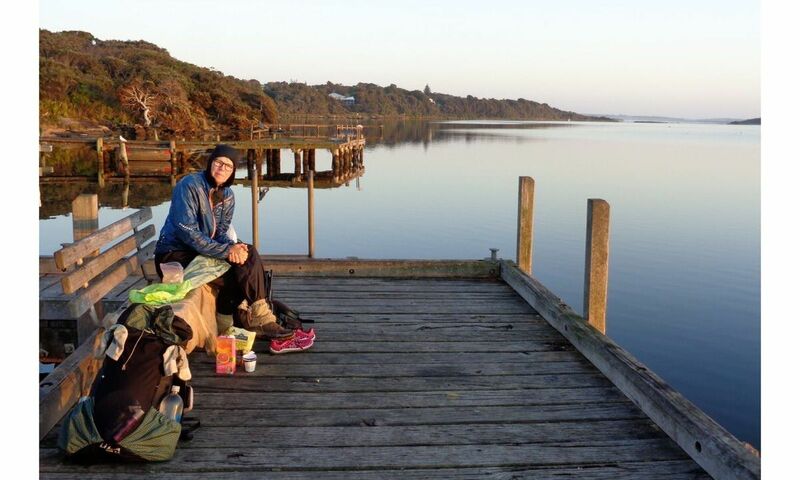 The nearest towns to the ends of the walk are Dunsborough in the north and Augusta in the south. Buses serve both from Perth, although the service to Augusta is a bit less frequent. Bus tickets can be purchased on-line or at Tourist Information Centers. 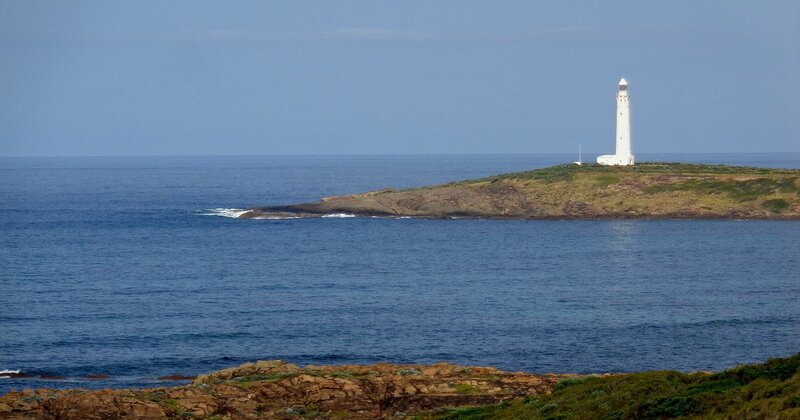 We started in Augusta and walked about seven miles along the coast to the beginning of the C2C at the Cape Leeuwin lighthouse, mostly on beaches or established paths. 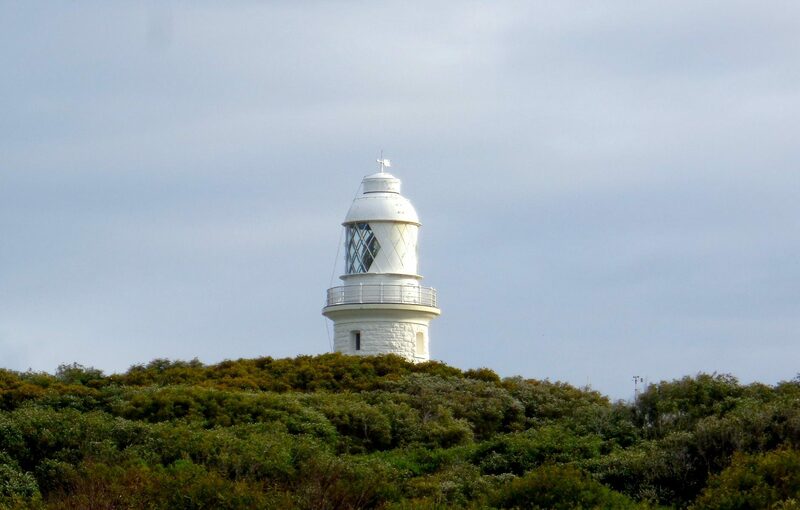 We then hiked northbound to the end of the C2C at the Cape Naturaliste lighthouse. 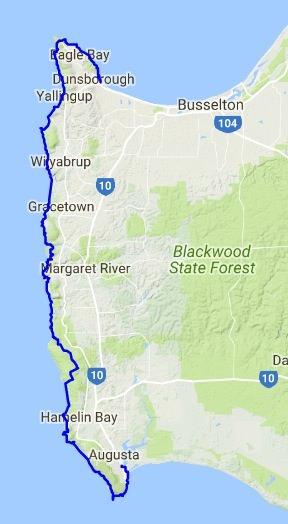 From there, we followed good public coastal trails ten miles to Dunsborough. 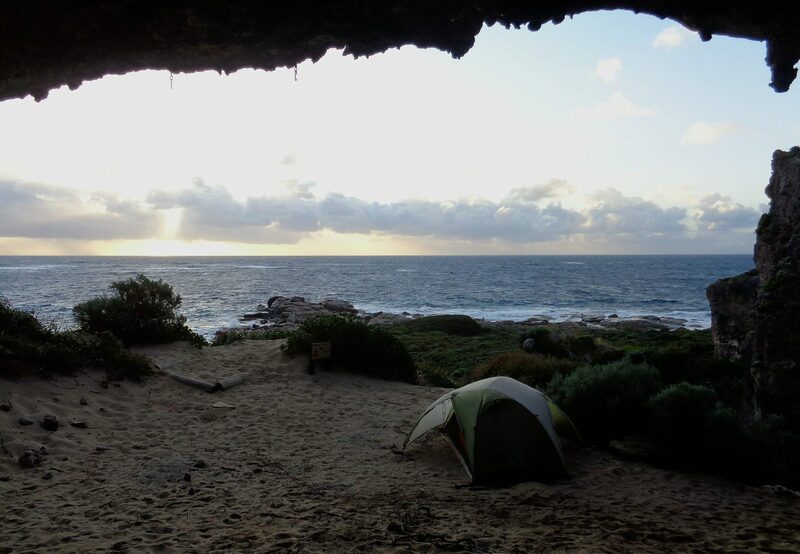 Both Augusta and Dunsborough have all the services a backpacker could need. We camped, spending one night at an official site and the rest wherever. Finding a fine campsite is trivial. Camping is legal most anywhere along the track and there are four “official” sites with privies and tables. Most people we met on the trail used pack-horse services. These services provide overnight lodging in an inn or B&B, supplied breakfasts and packed lunches, transported luggage, and delivered the walker to a trailhead in the morning and picked them up in the afternoon. In 2015, a trip using these services cost Australian $2500 to well over $4000. Since this is short walk, you could easily carry enough food to thru-hike without resupply. We elected to go inland to Margaret River to buy a meal and a bit more food. 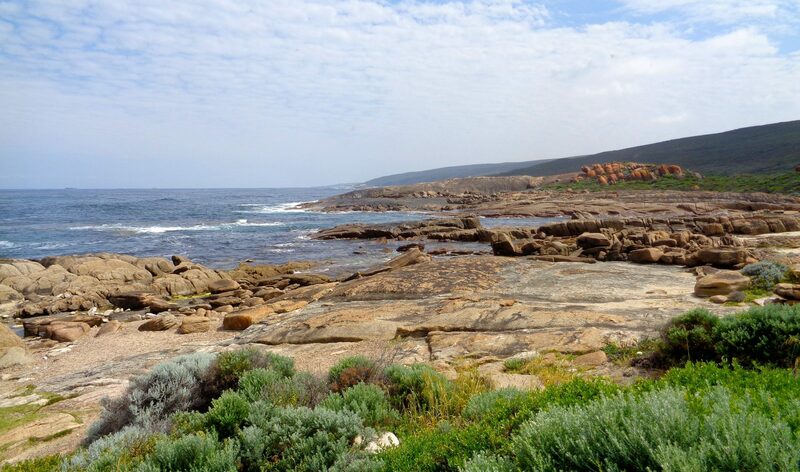 We able to easily hitch a ride from the coastal hamlet of Prevelly into Margaret River and a return ride back. Margaret River is a nice town with two large grocery stores and we had the best meal of our trip at the Bottom End Bakery. Although there are a few cafés in the small villages on the coast, there are essentially no places to buy groceries. Water is available at the official campsites and from coastal creeks. We treated our water.